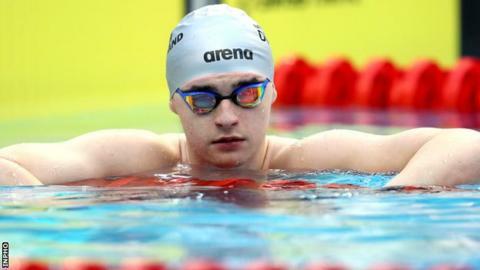 Conor Ferguson, Jordan Sloan and Amelia Kane picked up victories on the final day of the Irish Open Championships in Dublin. Larne swimmer Ferguson added to his 50m backstroke gold and 100m silver by winning the 200m event in 2:00.07. Bangor's Sloan won the 200m freestyle title in 1:48.56 while Ards competitor Kane took gold in the 1500m freestyle by clocking 17:42.49. Ellen Walshe secured victory in the 100m butterfly in 1:00.21. Sophie Maguire claimed a first ever national title in the 200m backstroke, touching in 2:17.30 and ahead of 2018 champion Maria Godden (2:19.73). Hannah Miley, having already topped the podium four times this week, took a fifth commemorative gold in the 200m individual medley. The two-time British Olympian won in 2:15.96 - Orla Adams took the national title in 2:17.83.